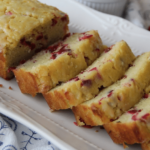 This Keto Cranberry Orange Bread is a staple during the holiday season. It’s so moist, delicious, and perfect with a cup of hot coffee. One of my favorite loaves of bread besides pumpkin is Cranberry Orange Bread. There used to be a bakery close by, and I would stop there often to grab a delicious loaf to surprise my kids. Unfortunately, it closed down years ago, but my son has never forgotten his favorite bread. He’s been asking for weeks if I could make a homemade Cranberry Orange Bread, so I decided to make it a low carb version. If you are already thinking, this bread is not keto friendly because oranges are too high in carbs rest assured there were no actual oranges used in creating this recipe. Instead, I used pure orange extract, which worked perfectly! I used fresh cranberries, which are low in carbs and high in fiber as well. Having never cooked with fresh cranberries I wasn’t sure how this recipe was going to turn out since cranberries are so tart. I added a little extra Monkfruit Powdered as a coating, and it was the perfect amount. 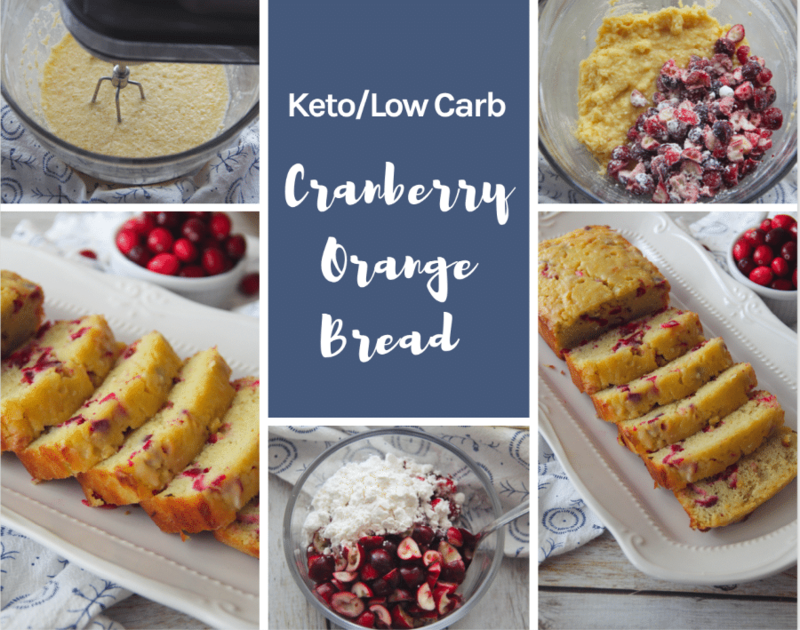 Low Carb Cranberry Orange Bread doesn’t require a lot of steps. It is a quick bread than even an inexperienced baker can easily make. Since fresh cranberries are tart, I chopped them into smaller pieces then added Lakanto Monkfruit powdered sweetener before adding to the batter to help curb some of the tartness. 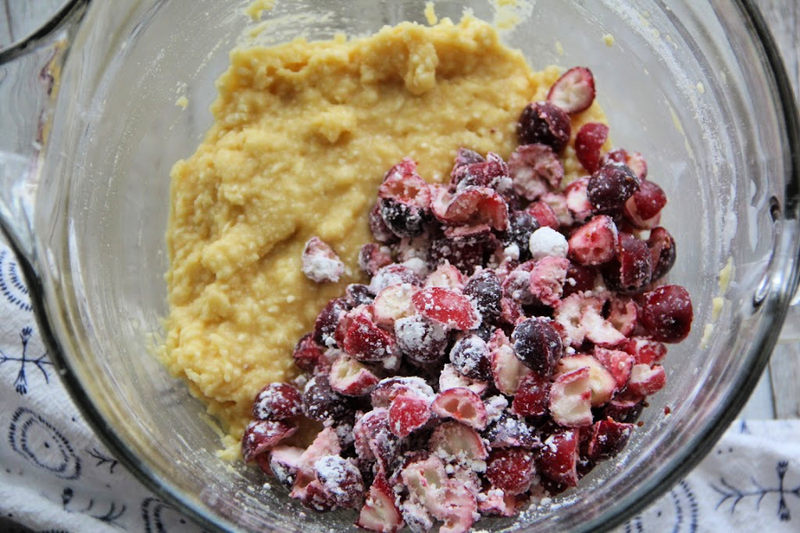 Add the cranberries to the batter. 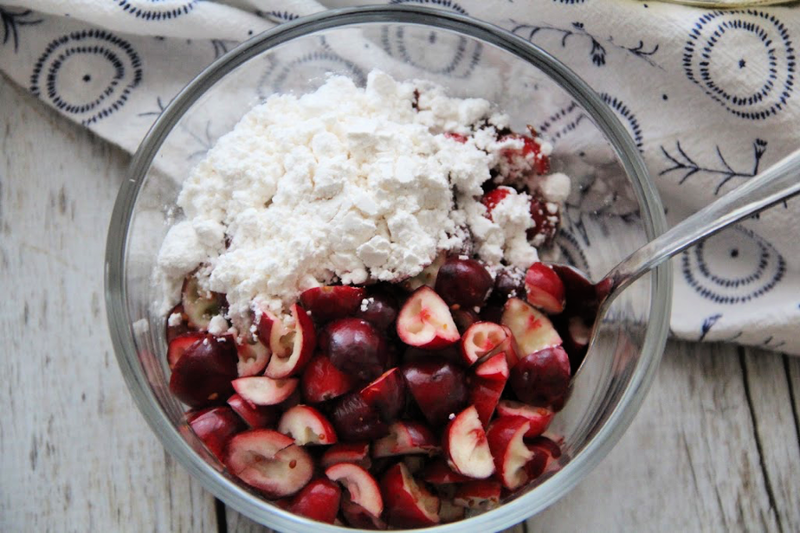 Fold in to combine the cranberries evenly in the bread. 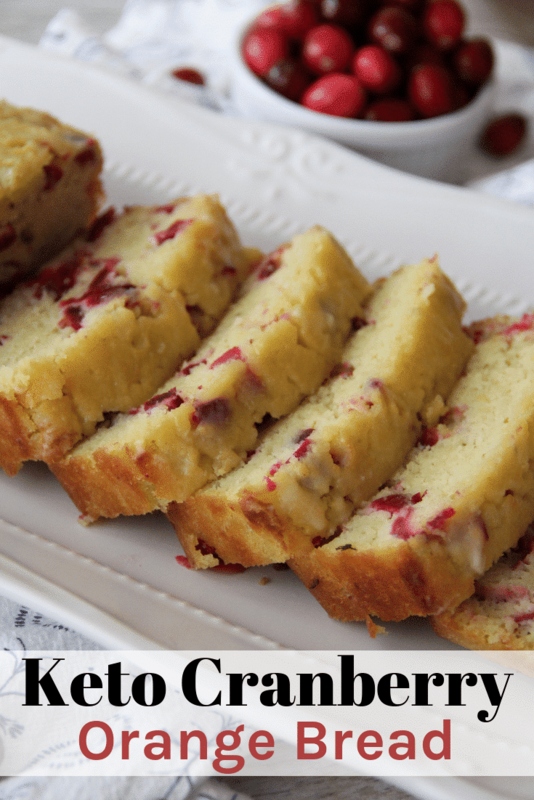 This Keto Cranberry Orange Bread is simple to make, flavorful, moist, and delicious. I wasn’t sure how well the orange extract would work in place of fresh orange juice and orange zest, but if I hadn’t made it, I would never know the difference. My son, who likes keto sweets the least, ate three pieces as soon as I was done photographing the recipe. He kept saying, “Mom, that is really really good, and I’m not just saying that since I’m your son. I promise I love it.” So, there you go right from the harshest keto critic in my family. 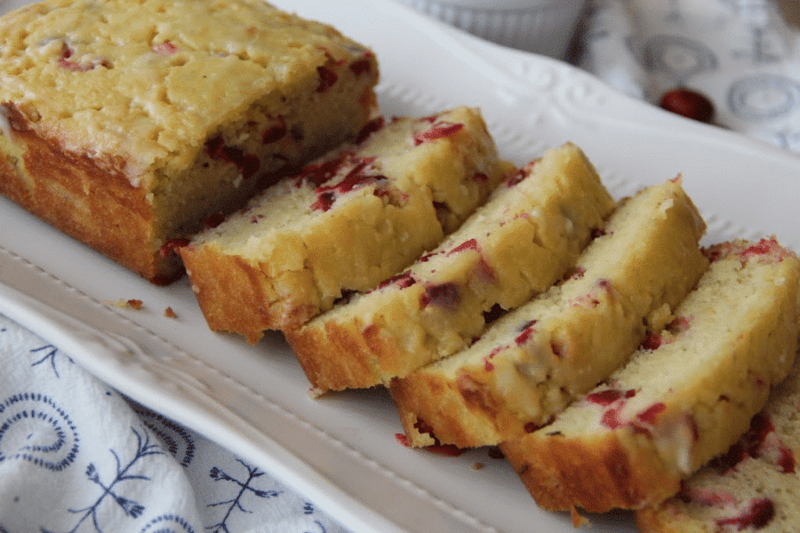 This Keto Cranberry Orange Bread is perfectly moist, flavorful, and amazingly delicious. Beat eggs, egg yolk, butter, Lakanto Monkfruit powdered, butter, sour cream, orange extract, and vanilla extract on medium-high until thoroughly combined. In a small bowl, combine 3 tablespoons Lakanto Monkfruit powdered, with the chopped fresh cranberries, and stir until cranberries are coated. To make the glaze, combine the melted butter and Lakanto Monkfruit powdered and stir. 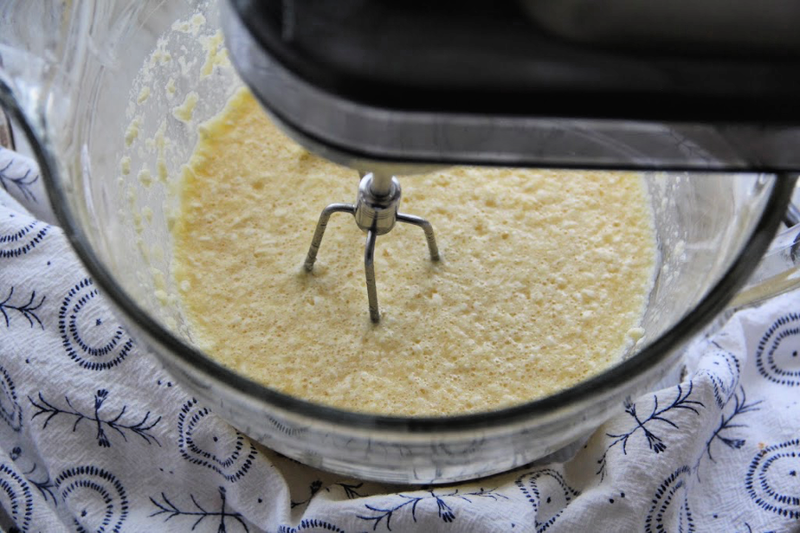 Add a splash of heavy whipping cream until the mixture is the consistency of a thick glaze. As it is poured on the hot bread it will thin out more. The sugar alcohols in the Monkfruit Powdered are not included in the nutritional information as most subtract to calculate net carbs. « Cuisinart 5-in-1 Griddler – LOWEST PRICE! I can’t wait to try this. Cranberry orange bread is my favorite quick bread for the holidays. Awesome! It is one of my favorites too. Could I substitute the Monkfruit for Swerve? I couldn’t find fresh cranberries at our store. I got dryed sweetened cranberries. Will those work? I’ve only made the recipe as is. Dried cranberries that are sweetened will change the carb count and taste of the bread. You would need to reduce the sweetener. Perhaps you could use orange essential oils. I’ve only made it as is though. This was tasty but a bit on the eggy side for me. Any suggestions to make it less eggy? I’ve only tried as is so not sure about making any tweaks to the recipe. Does monk fruit measure the same as swerve? I just made this for Christmas morning & I had to try it before I serve it tomorrow, right? It is EXCELLENT! I have been disappointed by many Keto baked good but thus was such a pleasant surprise!! Thank you! This bread is awesome!!! Moist and full of flavor. 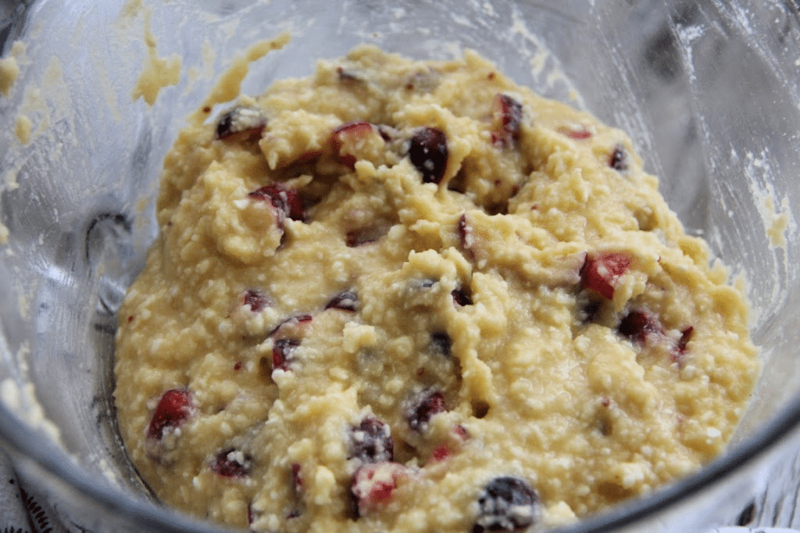 If you love cranberries like I do….you must make this bread. I’m not sure as I’ve only tested this recipe with fresh. Hi Kasey I did respond to Sylvia’s question yesterday but obviously it wasn’t accepted or didn’t go through. Yes frozen cranberries do work in the recipe. It’s best to add them at the end of the recipe so there’s no time for the cranberries to thaw and make the recipe watery. Love your recipes so delicious. Yes frozen cranberries work. Don’t thaw them out, add the cranberries at the end of the recipe, so they don’t have time to thaw out and make the dough watery. Can you use Erythritol sweetener for this recipe? I will give it a try. Hope it turned out good! This is the best Keto quick bread we have ever ate. This bread was awesome–I had cranberries leftover from Christmas that needed to be used up. So I doubled the recipe=) Hoping it freezes well. I did use a few drops of Orange Essential oil as well as the extract to give it a punchy orange flavor. Whole family liked it, even the non-Keto! Thanks for the recipes!! Sure! Glad you all loved it. Is this good for Type 2 diabetes since there’s no real sugar in it? I can’t give any kind of advice since type 2 diabetes is a medical condition. Compared to the regular version the recipe is much lower in carbs. This is by FAR the best low carb bread that I have tried. I now use it as the base for everything similar. I tossed my fresh cranberries with swerve and dried them in the oven. I just substituted lemon extract and fresh blueberries, I can’t wait to see how it turns out. THANK YOU! Fantastic! So glad you all enjoyed it. I was a little confused on the directions, and even read all the way through. It seems the butter and monkfruit are taken out of the main ingredients for the glaze. A lot of butter. Hope it turns out. But I think I mixed the glaze ingredients into the batch, because it wasn’t separated. The recipe card has the ingredients split out between the bread and glaze. Hope it turned out! Hi! It is Lakanto Monkfruit. I added the brand to the post, but it is also everywhere it said Monkfruit it was linked to the exact product on Amazon just in case you are ever wondering in the future. You gave the carb count, but what are the number of slices from the loaf? The number of slices is listed at the top of the recipe card. I didn’t have any cranberries or Lakanto Monkfruit, so I used fresh raspberries and Swerve instead. Absolutely delish! This will definitely be on our table at Thanksgiving. Thank you for sharing!